Formaldehyde-free keratin treatment that works for all hair types and does not conflict with other chemical services such as relaxers, bleach, or color. AQUA, SODIUM LAURETH SULFATE, COCAMIDOPROPYL BETAINE, DISODIUM EDTA, AMODIMETHICONE, CETRIMONIUM CHLORIDE, TRIDECETH-12, HYDROLYZED COLLAGEN, PEG-12 DIMETHICONE, DIMETHICONOL,TEADODECYLBENZENESULFONATE, HYDROLYZED KERATIN,SODIUM LAURETH SULFATE, COCAMIDE MEA, GLYCOL DISTEARATE, PARFUM, POLYQUATERNIUM-7, PEG/PPG-120/10 TRIMETHYLOLPROPANE, TRIOLEATE TRIMETHYLOLPROPANE, TRIOLEATE, LAURETH-2 (CTFA) COCAMIDE MEA METHYLCHLOROISOTHIAZOLINONE, METHYLISOTHIAZOLINONE, MAGNESIUM NITRATE CITRIC ACID. Time should be determined on an individual basis. It is recommended that you ask the client about their hair length, type, and texture when making the appointment. Please allow for a 1-2 hour window. What results should the client expect to see? The hair will be frizz free and more manageable with added shine. It will be faster to dry & style overall. To avoid confusion, please make your client aware that their hair will not be pin straight after they wash their hair. If they want to wear their hair straight, they will still need to blow dry it. We suggest that permanent, demi and semi permanent color and/or highlights be done after the treatment. This will allow the treatment to seal in the color leaving it rich and vibrant. We do suggest however that you go a ½ level darker than you would normally use if you were to do the keratin treatment right after a color treatment to achieve the client’s truest color. Do not use conditioner when shampooing the client’s color out. Should the hair be cut before or after the treatment? We recommend cutting the hair after the treatment as it will be easier to spot the damage and the hair texture will lie differently as the texture will be altered. Can Olez Hair Smoothing be used on Ethnic hair? Can the treatment be done on chemically treated, relaxed or straightened hair? Yes, but it is recommended to wait a week between treatments. How does this treatment differ from a permanent straightener/relaxer? There is no thio or lye chemical in Advanced; therefore, there is no risk of chemical damage. Do I need to use the Olez Deep Cleansing Step 1 shampoo to wash the hair after processing or can I use my own shampoo? We recommend using Step 1 to ensure the best outcome for your client. How many days after my Olez Smoothing treatment does my client need to wait to wash their hair? There is no restriction; your client can wash their hair immediately after it has been sealed with the flat iron. Can the hair be pulled back or clipped up right away? Yes, pulling or clipping their hair back will not change the result of the treatment. What kind of aftercare should I suggest to my client? We recommend using a salt & sulfate free shampoo. 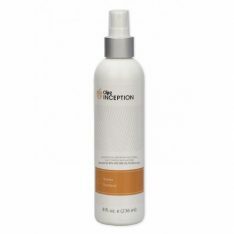 Please see our aftercare line for Inception. 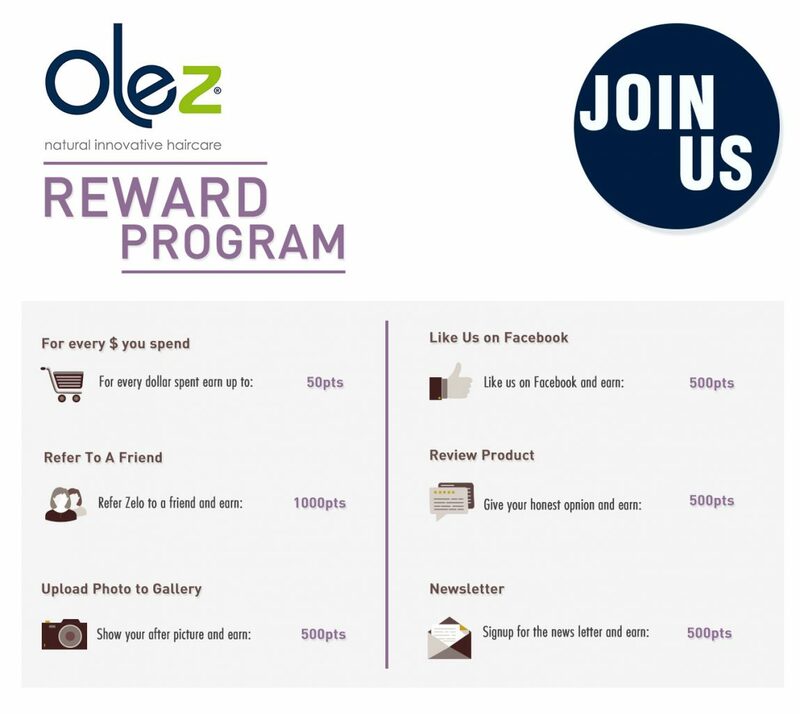 How long will the results of the Olez Hair Smoothing last? How often can the smoothing treatment be performed? The treatment can be done as often as once every month. The more often you use it, the better the results. 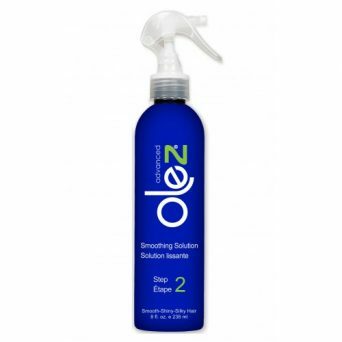 Does Olez Hair Smoothing provide technical support? Yes, we have an in-house stylist who is available for any questions you may have M-F 9AM-5:30 PM EST through phone or text (1-800-251-2479), email or online chat. Do you re-apply the treatment to the whole head or just the roots? You will re-apply the treatment to the entire head as the smoothing treatment begins to gradually fade out of the hair. When I am flat ironing the hair in the final step, how many passes do you suggest on each piece of hair? Do you sell the smoothing solution without the shampoo? Yes, the shampoo and smoothing solution come as a kit and can be purchased separately after the first kit. With all the toxic ingredients in products these days, does Olez Hair Smoothing pose a threat to my health as a stylist? No, the product is Formaldehyde & Aldehyde free. You also will be shampooing the product from the hair after processing so this eliminates the smoke and fumes that usually occur when to blow drying with the product in the hair. Will Advanced change the hair color of my client upon completion? 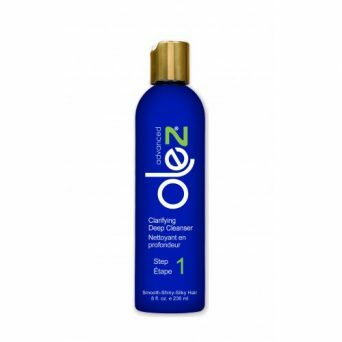 Olez Hair Smoothing is color safe so it will not change your client’s hair color. *Please be mindful of a number of times you pass the flat iron through the hair and the temperature of your flat iron. Excessive heat can cause the hair color to lift with or without treatment. Can I skip the flat iron step? No, you need to seal the product with the flat iron set between 400-450 degrees Fahrenheit. How is Olez Hair Smoothing different from any other Smoothing system on the market?